Oooh time to see the decorations going on in everyone's home. 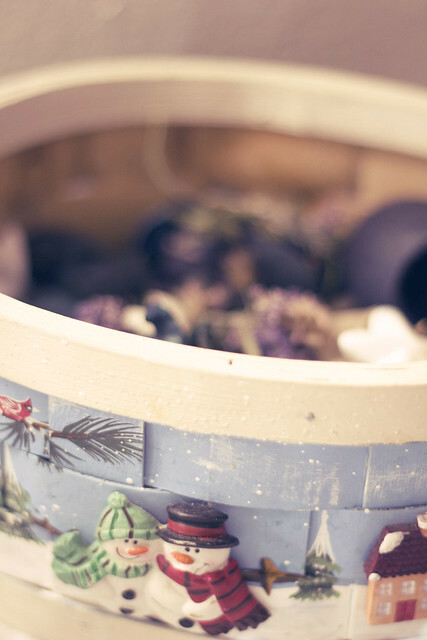 I can't believe that I haven't had time to take any photos, so this morning I was quite glad that it was still dark and I couldn't get this post up until later, because it gave me time to actually snap some photos to share. I have been all over the place lately, and as much as I'm looking forward to Christmas I can tell you, that I'm looking forward to it being done as well LOL I know, how scrooge of me?!?!? Do you have a cup of tea or coffee? There are a LOT of photos, so sit back and enjoy. Going up the stairs, I have a few Christmas plushies....I never quite know where to put them so the stairs is the perfect place. 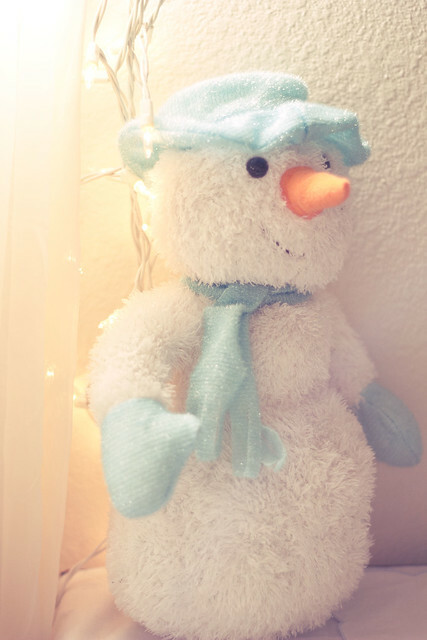 I am quite obsessed with Snowmen and most of my decorations reflect that. These are my favorite Christmas decorations. 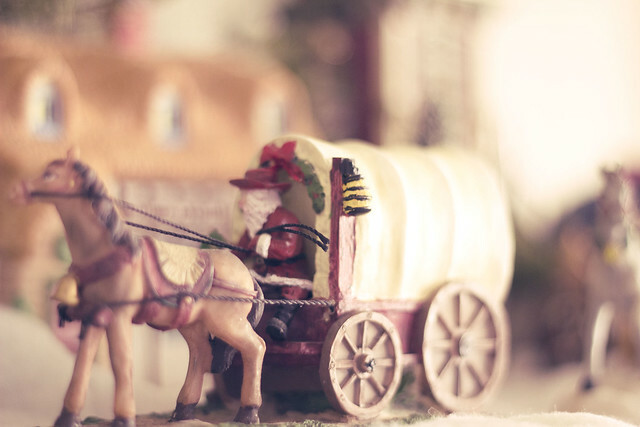 Santa in the wagon, how adorable is that? 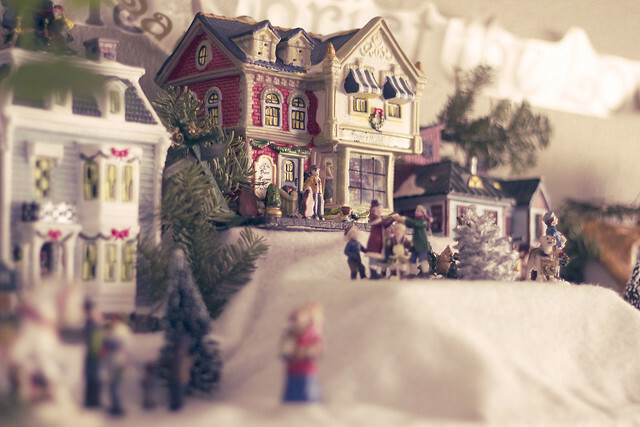 I just love the Christmas Villages, so cute. I used to sit and think that I would love to be able to live in one, how cool would that be? 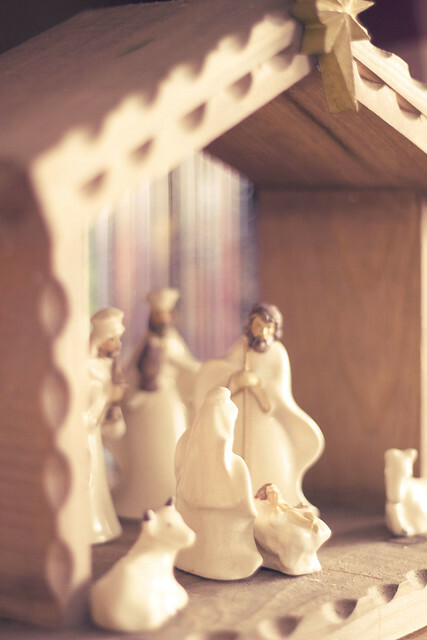 My Nativity set, breakable so I'm always freaking out whenever anyone goes near it. As you can see the presents have started appearing under the tree. I know a lot of you wait until the 24th to place them under, but since I was a little girl, the presents would start appearing throughout the month and it was always one of my favorite things ever.....to see them, to watch the pile grow, to see who they are for and then anxiously await the big night. Another Snowman themed item. This is a basket and I usually keep Poutporri in. And just because I love them so much....they bring me so much joy I can't help but smile when I walk by. Oh my, your decorations are BEAUTIFUL! 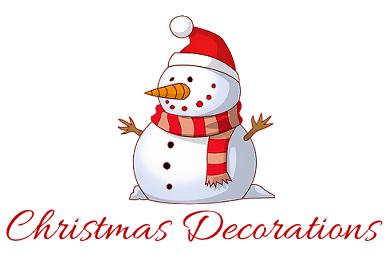 Love your plush snowman with the pale blue hat and your tree? Beautiful! So so lovely! Oh and I forgot to say! 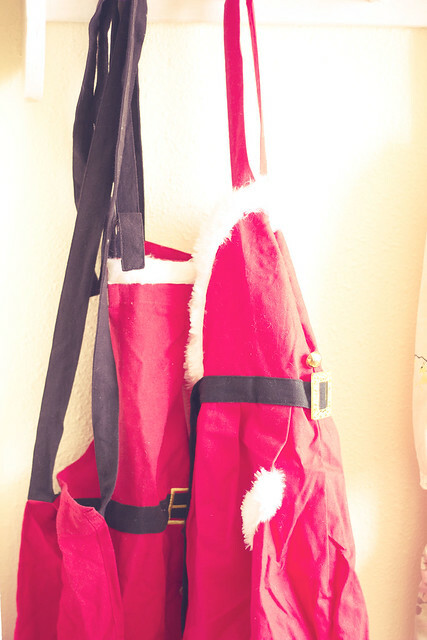 I'll definitely be making myself a Mrs. Santa apron for Christmas Eve/Day cooking!!!! LOVE THEM!!!!! 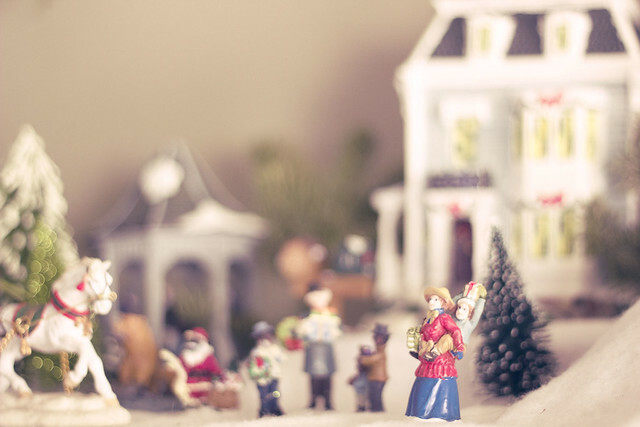 Love your Christmas area - so pioneer looking and homey! 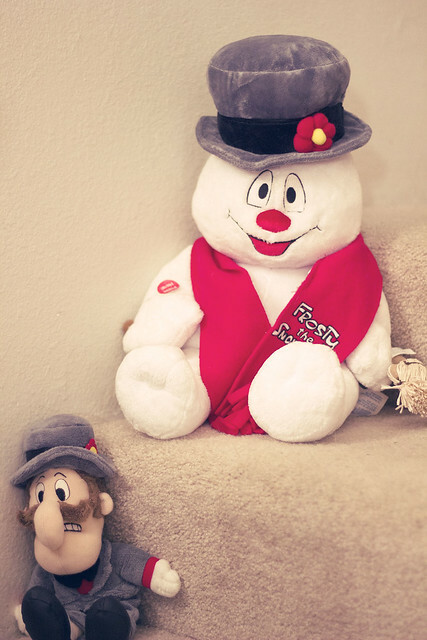 I am a Snowman fanatic too and can't wait for NEXT Christmas when all my decorations will be out of storage. I just love all of your decorations Sandra! That village is SO great!! The fireplace Does look like a film set! 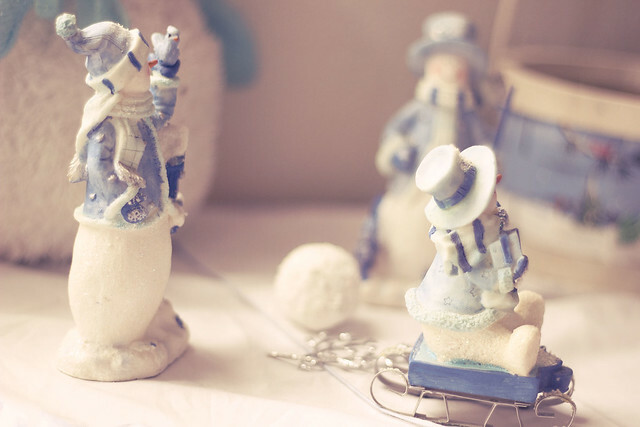 And how lovely are those snowmen? Woohoo, I've been playing catch up and finally am all caught up. 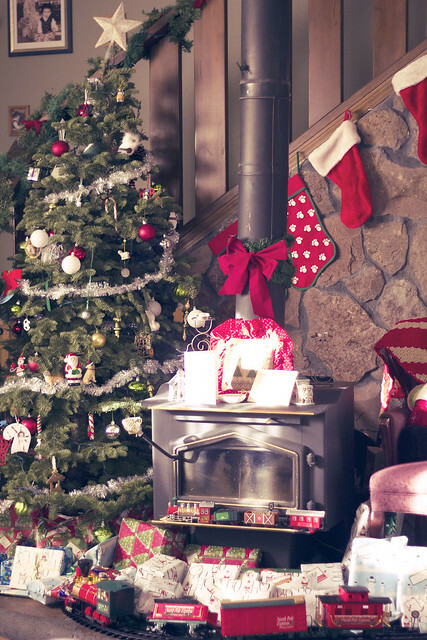 You have such beautiful decorations and your Christmas area just looks like something out of a magazine. 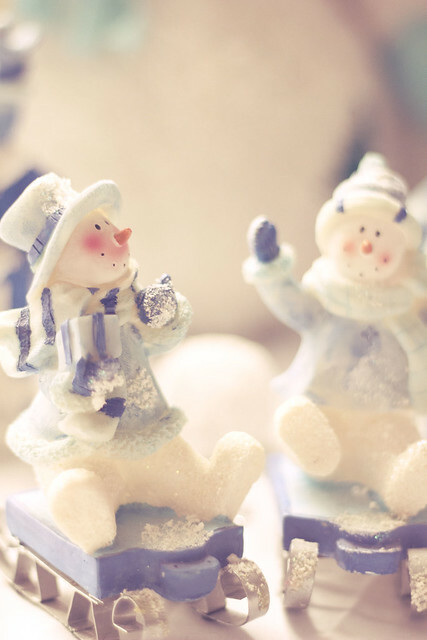 LOVE your Christmas decorations...your Christmas village...all of the snowmen! 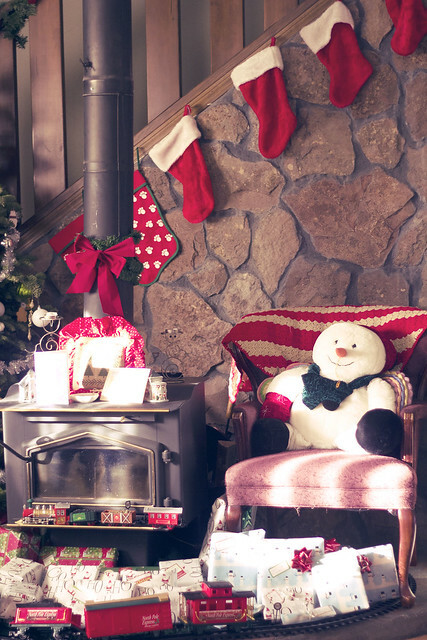 Such warmth and coziness in your home for the holidays! Thanks for sharing...JUST posted my 15th day post late last night!! I had missed a few days this weekend so I combined 3 of them to one post, if you don't mind. That's the one I attached to this one. I'll now work on day 16 which will be separate.